Need Sewer Drain Sleeve Service In Austin? If you have roots in your sewer pipe or you have a corroded bottomless cast iron pipe with rough edges or rusty surfaces, you may find your kitchen sink is backed up, or the toilet is backed up, or your drains are blocked. If the sewage pipe is cracked, you may even notice a foul odor emanating from the floor or condominium walls. The roots in the sewer pipe will always grow back in search of water, no matter how often you unblock the root damaged pipe. Also, cracked and broken pipes result in water infiltration which causes sewer processing costs to increase, and water exfiltration, which means sewage is leaking into the environment! If the broken pipe is in an apartment wall like leaking vertical roof drains or vertical sewer pipes, then the collateral damage can become quite extensive from a blocked drain. Imagine the second floor condo flooding every time someone flushes a toilet on any of the twenty floors above it, and imagine nobody notices the clogged drain for a few days! Pipelining (Pipe Lining) can replace pipes without digging up walls, floors, driveways or landscaping. The pipelining process installs a pipe-within the old pipe, typically from a rooftop or outside the building where the sewer service lateral comes out under the building on the way to the sewer main line. Sewer main lines can also be relined, but the re-lining can be done in its entirety or just in small sections. The pipe liner will install the cured-in-place-pipe (CIPP) typically from one access point, and the pipe lining will harden in 3 hours. There are different types of pipe coatings, some are structural where they are as thick and strong as a new pipe (CIPP), others are merely a pipe coating (epoxy pipe lining). Not all pipeline coatings are the same either, it depends on what the pH, temperature and structural conditions are inside the pipeline. Do Your Sewer Pipes Need To Be Re-Lined? Are you experiencing frequent sewage backups? Do you have to repeatedly pay the drain rooter company to unclog your drains? If so, you most likely have tree roots growing in your sewer pipe that grow back after the rooter company leaves. Are Your Vertical Rain Drains – Sewer Stacks Leaking? After about 30 years vertical cast iron sewer pipes and rain drains in high rise condominiums will have rusted enough to get longitudinal cracks. The option of excavating the walls to replace these pipes is very inconvenient, messy, expensive and time consuming. So What Exactly Is Austin Sewer Pipe Lining? 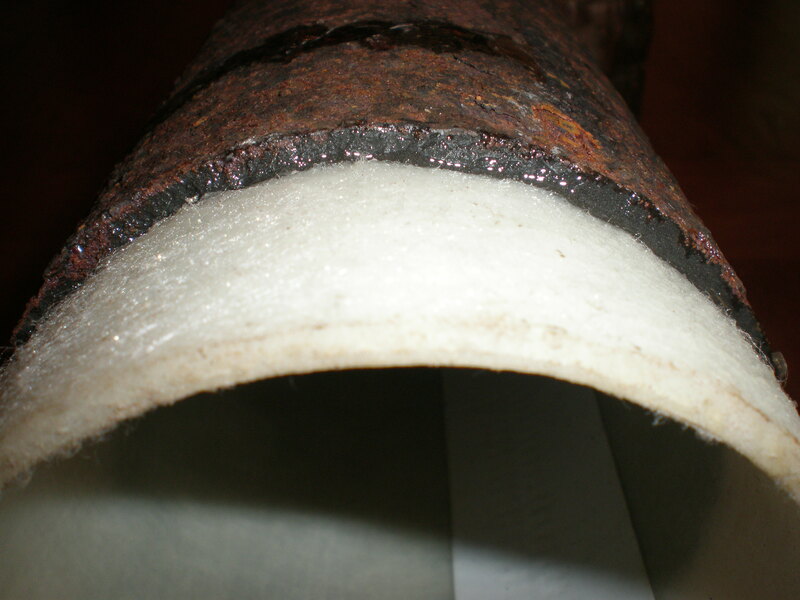 The new inner pipe lining is a long special fabric tube that has been wet out or saturated with a resin that hardens by itself within 2-4 hours. The new inner pipe only reduces the pipe diameter by about 5%, so flow is not affected, and the pipe lining material has a 100-year engineered life and typically comes with a 50 year warranty. How Is Sewer Pipe Lining Installed? 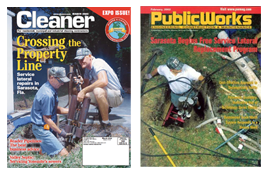 First the sewer pipe is cleaned with a high pressure water jetter that removes all roots and sludge and a sewer pipe video inspection is made to determine the length of pipe that has to be relined. Then a long special fabric tube is cut to the correct length and the self hardening part A and part B epoxy resins are mixed and used to completely saturate the fabric tube. The fabric tube is then either pulled into the broken pipe or air pressure is used to shoot the liner into the pipe (see video below). Then the fabric tube is inflated with air for 2-4 hours while the resin hardens. After the new liner is fully cured, a final pipe video inspection is made for quality control. How Strong Is The New Inner Pipe? The final new inner pipe is designed for load-bearing pipes that are located under roads, railways and building footers. If, for example, a section of clay or cast iron sewer pipe is missing, the new inner lining is designed to be a stand-alone pipe. The video on the right side of this page (VIOLENTLY) demonstrates the strength of sewer pipe lining – check it out. Austin TX Pipe lining is the modern alternative to pipe replacement! Let’s not forget, since pipe lining requires no excavation, it is cleaner, less invasive and much faster than repiping the old-fashioned way. Do you use an epoxy spray-on system or is it a physical new pipe that you install inside my old pipe? One common way to line pipes is to spray a thin layer of food-grade epoxy inside the pipe, like the inside of a can of food. This is called “Epoxy Pipe Lining” and it offers no new physical pipe and so the strength is remarkably less than a pipe liner. 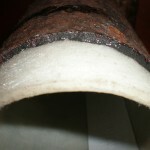 Epoxy pipe lining is commonly used in drinking water pipes but is not recommended for pipes that bear any physical load. The slightest ground settlement for example will crack the epoxy and the pressurized water will leak out. However in fire-suppression hydrant water supply pipes or water mains thicker layers up to 4mm are applied in which case the epoxy pipe lining does add structural strength enhancement. How Much Does Pipe Lining Cost? Trenchless pipe rehabilitation costs much less than a sewer repipe project. Re-lining 4″ cast iron pipe typically runs $125 per ft. outdoors and around $145 per foot under structures like buildings. For actual cost comparisons of residential pipe lining, commercial pipe lining and apartment pipe lining jobs, see our Featured Projects section. We received a frantic call from a residential customer. The customer informed us that their sewer line under their house was backed up. 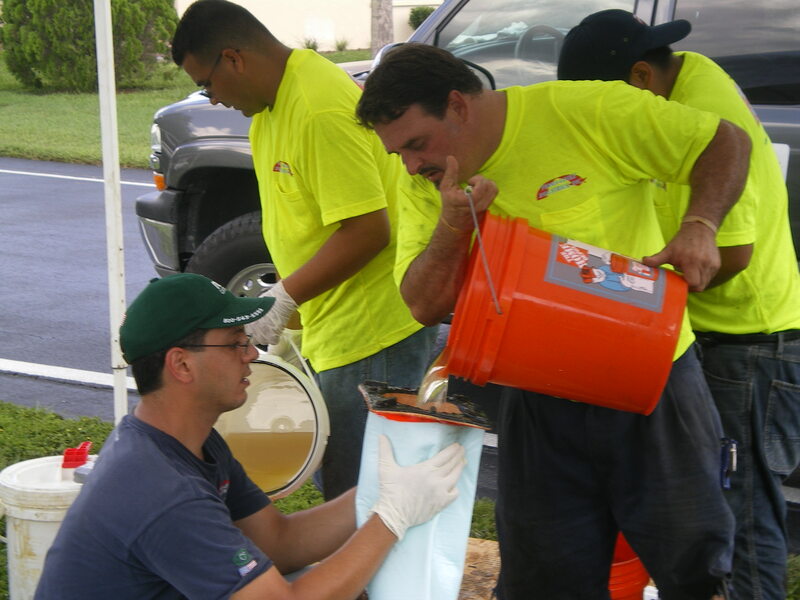 We sent out our pipe lining technicians to perform a video inspection. 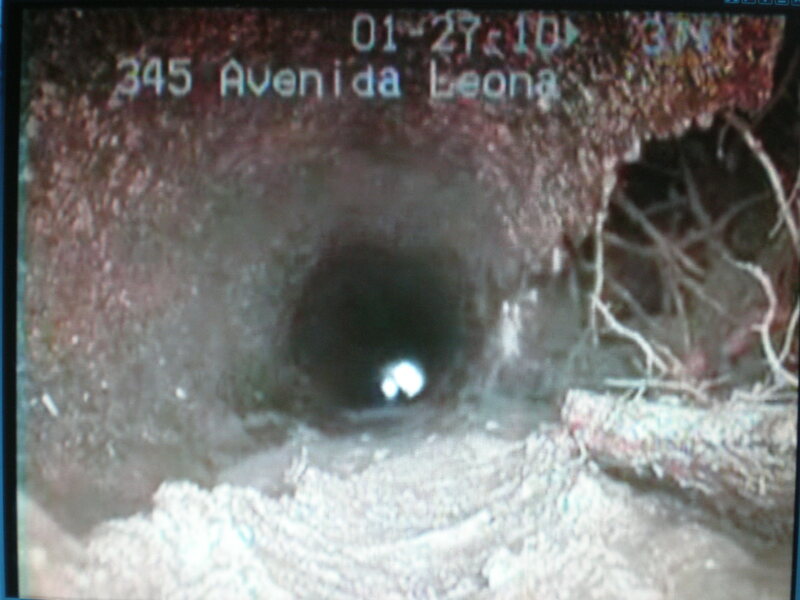 The pipe lining tech performed a full sewer line pipe inspection using CCTV video inspection. The pipe was severely damaged and multiple cracks were seen as well as severe corrosion and joint leaks. 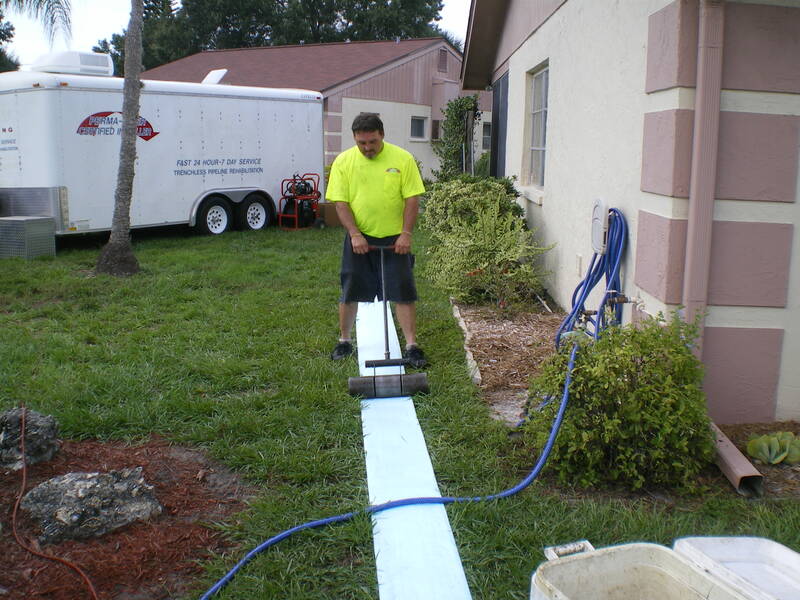 The pipelining technician recommended trench less pipelining to reduce downtime and to avoid having to destroy the landscaping and wooden floors inside the house. Our mobile pipelining team was dispatched onsite and a trenchless job was performed without any problems. We performed a full inspection and it was determined that our installation / re-lining was successful. The property manager was ecstatic that we didn’t have to tear up the ground and the job site was left clean without a mess or any property damage from digging. We aim for a clean work site that looks like we were never there and we take the time needed to get it right the first time. Our plumber/pipe lining techs are all certified and they are constantly being educated on new techniques. We take pride in being the best pipelining company in all of Illinois and it shows. 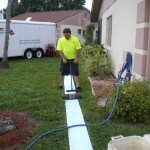 Since Perma-Liner™ pipe restoration can be installed quickly and quietly beneath houses, apartment buildings, driveways, sidewalks, landscaping, railways, tunnels, shopping centers, malls, military bases and inside ships, there is usually no need to install a plumbing bypass to handle the regular flow. Even though the diameter of the resulting pipe is slightly reduced, flow actually improves because the smooth PVC lining has a lower coefficient of friction than concrete or clay. The Perma-Lateral™ Lining System / Cured-In-Place Pipe (CIPP) is the only system and materials to be approved for lining pipelines in the City of Los Angeles and New York City. The approval has been granted by the Department of Building and Safety per strict Los Angeles Plumbing Code (LAPC) requirements and 3rd party testing. Perma-Lateral™ Lining Materials meet their strict non-stretch liner requirements. Only Perma-Liner™ provides patent non-stretch lining materials. The Perma-Lateral™ liner allows the installer to invert the liner through the existing building sewer pipeline to the city main sewer connection without stretching into the city sewer main. Normal felt liners without the patent scrim can stretch into the city sewer main and cause blockages that require emergency digging and/or robotic cutting devices. 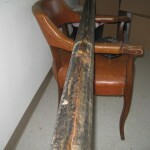 Need A Austin Cured In Place Pipe Lining Company In Austin? Do You Need Sanitary Sewer Rehabilitation or Repair In Austin? Sewer Pipes Backed Up or Roof Drains Leaking In Austin? Need Epoxy Sewer Pipe Lining In Austin? Repair Broken Sewer Main – Austin Pipe Lining Company Saves 50% of The Cost Of Trenching! Need To Repair A Broken Sewer Main In Austin? 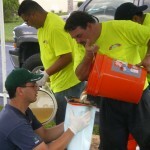 Need Sewage Slip Lining Service In Austin? Clay Sewer Pipe Repair By Austin Trenchless Pipe Lining Company Costs 50% Less Than Digging! 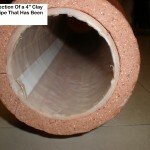 Need Clay Sewer Pipe Repair In Austin? Austin Underground Pipe Repair Without Digging Using Pipe Lining Costs 50% Less Than Trenching! 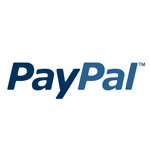 Need Price For Underground Pipe Repair Without Digging In Austin? 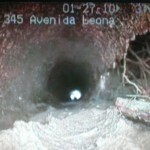 Austin Broken Sewer Pipe Repair Under Slab Without Digging – Pipe Re-Lining Lasting 100 Years! Sewer Pipes Broken Under Slab or Roof Drains Leaking In Austin?